Posted 1 May, 2017 by Peter MacDonald & filed under Uncategorized. 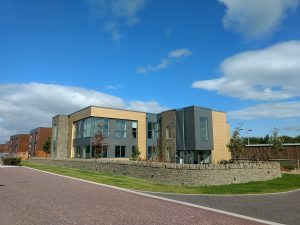 After a couple of years in our previous offices in Stoneyfield, we’ve made the short hop across the railway tracks to the new Inverness Campus. We are now located on the second floor of Aurora House, so feel free to drop by for coffee and chat about how we can help solve your engineering problems.